Get great performance while saving the environment. Advanced Eco features help to substantially lower your operating cost without compromising on quality and flexibility. Less shadow and glare gives the presenter more space to engage with his audience and enhances the experience when using the interactive multi-pen solution. Optional Multi-pen and Touch Interactivity - with auto-calibration on any kind of surface. Projects a sharp image even in bright rooms thanks to its light output of 3,500 ANSI lumens, the best performance of its category. This interactive unit provides extensive drawing functionality to the projector and allows characters and drawings to be projected on the screen while making a presentation, which can be saved to your computer. 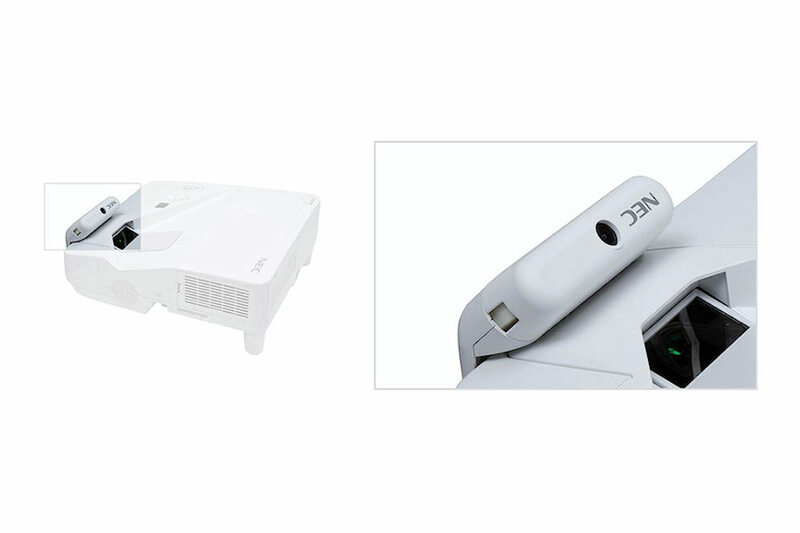 It is possible to mount this unit on the body of the projector, which means that it can be used not only when the projector is mounted on a wall, but also when it is placed on a table. It can also reduce shadow and/or glare on the image for audience. 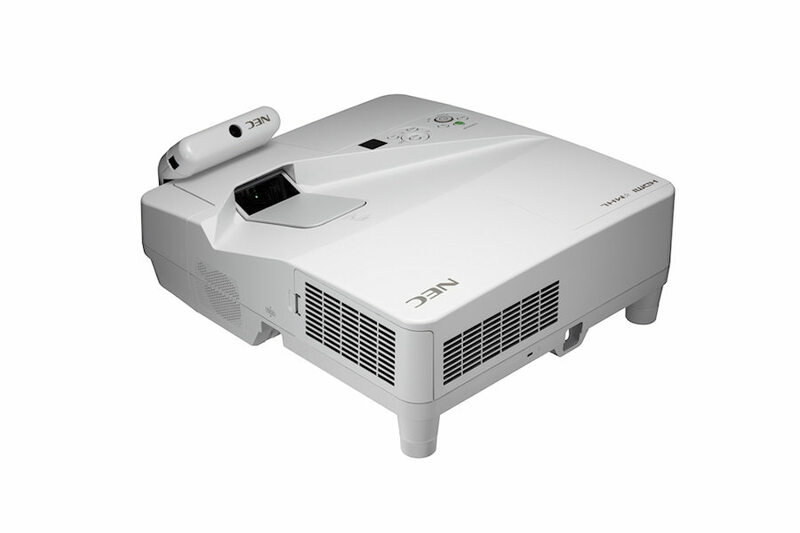 The UM351wgi projector also has a viewer function that lets you project images (JPEG) stored on USB memory, so you can give presentations without a computer. This function enables the remote control to be used to adjust volume of self-powered external speakers that are connected to the projector. The utility software “Virtual Remote Tool” included on the accessory CD-ROM enables display of a Virtual Remote screen (or toolbar) on your computer screen. 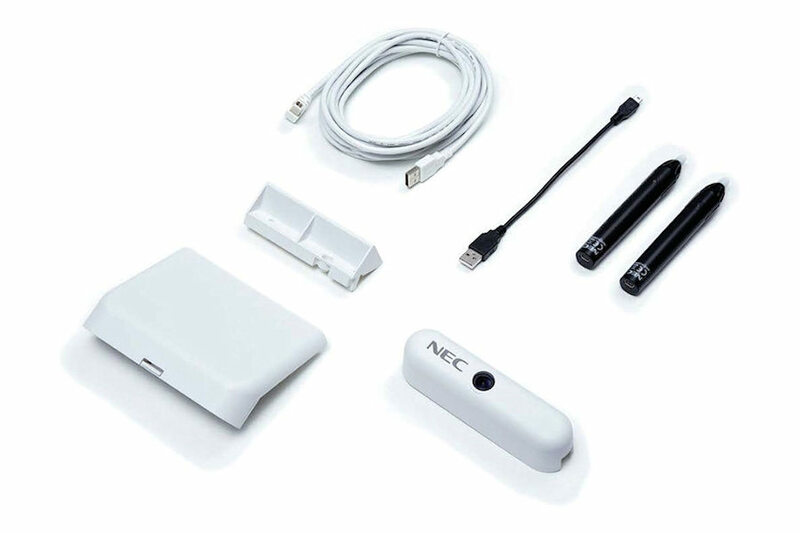 This helps you to switch the projector’s power on or off and select signals from the computer cable (VGA), serial cable, or LAN connection. Lamps can blow, if you need your projector working and can't afford down time, you may need to keep a spare lamp. The replacement projector lamp for the NEC UM351wgi is the NP33LP.